2019 EU reissue on 180g LP-Featuring “Stand My Ground”, “Angels” and “Memories”. Within Temptation's 2004 album The Silent Force was the first record to feature Ruud Jolie on lead guitar. The Silent Force's first single "Stand My Ground" is a wonderful bombastic composition with impressive vocals and it stays true to the band's rocking sound. It stands as a masterful collection of songs, which still sounds fresh and versatile. 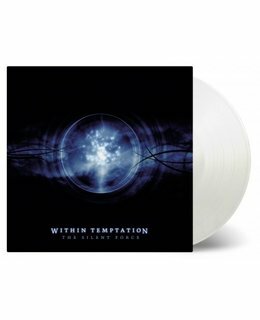 Within Temptation's 2004 album The Silent Force was the first record to feature Ruud Jolie on lead guitar. The powerful and beatifical vocals by Sharon Den Adel are full of passion and emotion and blending well with the orchestrations. The Silent Force's first single "Stand My Ground" is a wonderful bombastic composition with impressive vocals and it stays true to the band's rocking sound. The up-tempo guitars and the melodic keyboards make this a must have for everyone who loves symphonic and metal music. It stands as a masterful collection of songs, which still sounds fresh and versatile. The Dutch symphonic metal band Within Temptation was founded in 1996 by vocalist Sharon den Adel and guitarist Robert Westerholt. After their first doom metal recording they were developing their music to a more accessible symphonic style, becoming known to the worldwide public. 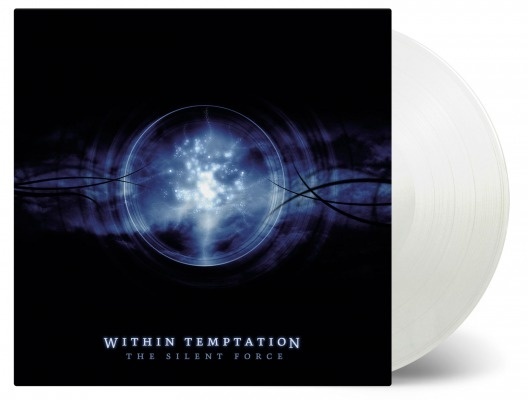 The Silent Force is available on vinyl for the first time as a limited edition of 5.000 individually numbered copies on crystal clear vinyl. The package contains an exclusive poster.